Vectron International Inc., a Microchip company, is a world leader in the design, manufacture and marketing of Frequency Control, Sensor, and Hybrid Product solutions using the very latest techniques in both bulk acoustic wave (BAW) and surface acoustic wave (SAW) based designs from DC to microwave frequencies. Products include crystals and crystal oscillators; frequency translators; clock and data recovery products; SAW filters and components used in telecommunications, data communications, frequency synthesizers, timing, navigation, military, aerospace and instrumentation systems. 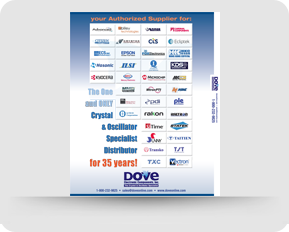 Dove distributes Vectron/Microsemi crystals, VCXO’s (voltage controlled crystal oscillator), TCXO’s (temperature controlled crystal oscillator), OCXO / EMXO (oven controlled crystal oscillator), FCXO’s (frequency controlled crystal oscillator), VCSO’s (voltage controlled SAW oscillator) and PXO’s (programmable crystal oscillators). 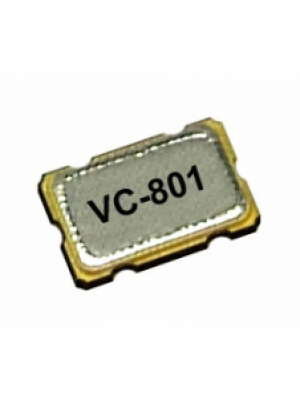 Vectron/Microsemi crystals and oscillators in stock now. 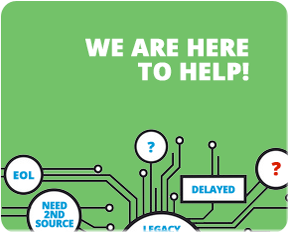 For more information regarding Vectron International, call 1-800-232-9825.